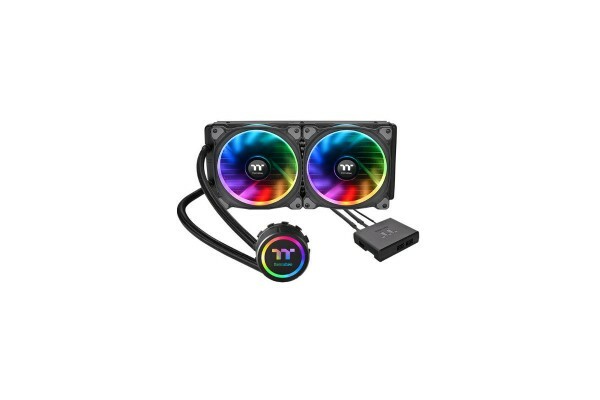 The Floe Riing RGB 280 TT Premium Edition is the world’s first 16.8 million colors liquid CPU cooler with two 140mm Riing Plus RGB fans and a LED waterblock. This cooler series features its extraordinary performance and superior quality. The large surface radiator plus high-performance waterblock and pump guarantees ultimate CPU cooling. Besides, the waterblock and the fans are manufactured with multiple addressable LEDs that can be controlled by Riing Plus RGB Software. Functions within the software also allow users to monitor fan performance and track CPU temperature. Enjoy better cooling performance and greater CPU protection with one simple upgrade!